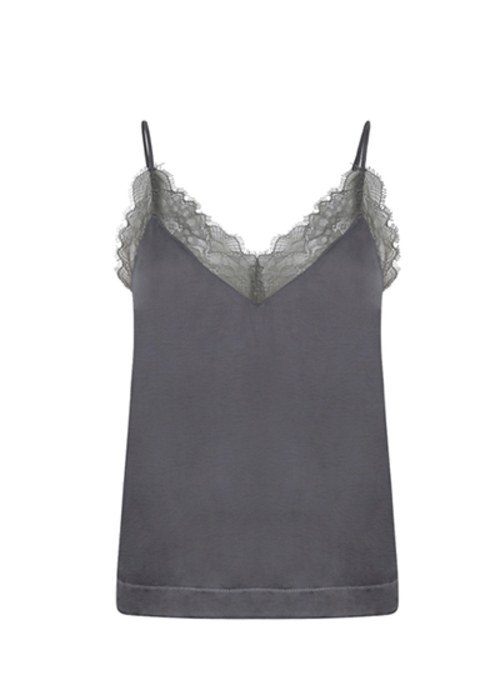 LOVE STORIES, classic lace top is crafted from shiny, silk-like material in a muted shade of soft grey. It has a flattering v-neckline and is finished with a delicate scalloped trim in semi-sheer tonal lace. The slender shoulder straps are adjustable to personalize the fit.